Please take time to enjoy the pictures of various add-ons that are attached to this page. Any one of them can be adapted to your style and taste to make your ceremony absolutely "perfect". 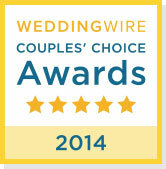 "The ceremony Pam wrote for us was wonderful! She got to know our personalities and worked that into the ceremony, which made it so unique. She is a very warm and welcoming person and that really showed through when she performed the ceremony. She worked with us to incorporate our Greek theme and came up with amazing ideas, like our Stephana Ceremony. 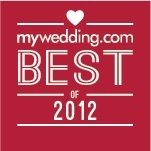 She did a beautiful job and we are very thankful to have had her share in our wedding!" "I am not sure what I can say about Mrs. Pam other than amazing! She made our day so very special. After meeting with her and discussing our wishes for a very personal and specialized wedding, it was evident that she took to heart our requests. She put so much work, research and time into making our ceremony exactly what we both wanted. From adding Irish/Celtic elements, to personalizing our vows she was amazing. She helped to incorporate my husbands kids within the ceremony, making it more than a marriage between a man and a woman, but the marriage of our family. I couldn't have asked for a better ceremony, the literal tying of the knot with the handfasetening was exactly as we both wanted. I am so grateful to have had Pam as the leader of our special day. She really provided a ceremony that was unique to our relationship, and we are forever grateful. You are the best Pam!" A wedding should be an expression of the personalities of the couples that are getting married and my goal is to do everything within my power to make your ceremony exactly as you want it. 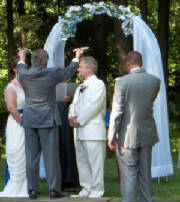 Just as each couple is different, each ceremony I write is different and no two are ever alike. By incorporating your own ideas, family traditions and customs, the tone is set for your new life together and your ceremony becomes unique, meaningful and totally your own. This page is dedicated to some common ceremonial traditions that can be incorporated into your ceremony to give it the special touch you are looking for. The following list of Ceremonial Add-Ons are some of the most popular. 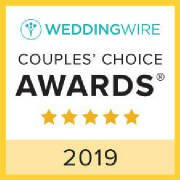 You may choose any one or more of them to give your ceremony that extra special touch you are looking for and, if you would like to add one that is not on my list, just let me know. Nothing is impossible and I would be more than happy to write any of your special ideas, traditions or customs into your ceremony. The add-on's can be incorporated as they are traditionally performed or segments from one can be added to another to make it uniquely your own. The possibilities are limitless and I will work with you to make your ceremony exactly as you want it. Contact me for a complete packet of Ceremony and Ceremonial Add-On Samples. Samples of Readings and Vows are also available.